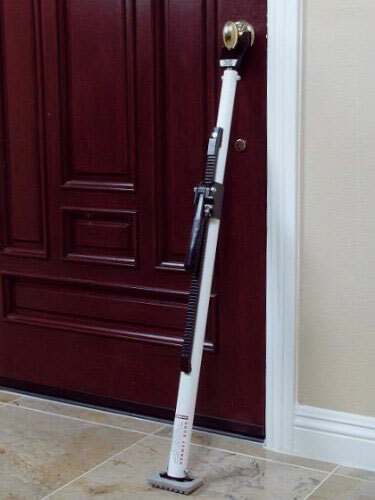 Meet the Buddybar Door Jammer: a powerful tool that secures your door to give you peace of mind. It weighs 8.2lbs and has no plastic parts. You can use it on carpet, tile, concrete, and wood. The Buddybar Door Jammer can be installed in seconds. The foot is 2 x 4″ rubber coated and provides a solid grip.